The Building Safety Group (BSG), has reported an 8 per cent rise in ‘Welfare’ breaches on construction sites. BSG’s figure is based on approximately 10,000 independent inspections conducted for the construction industry over a six month period, comparing Q4 2017 with Q1 in 2018. Welfare provision is fundamental to safeguarding the health and well-being of construction workers. According to a report conducted by Unite in 2017, one in five construction sites provide no drinking water. It was also discovered that 22 per cent of sites did not provide hot water, while 14 per cent did not provide cold water. A major concern is that despite construction involving dirty, hot and physical work, less than half of those surveyed said enough soap was provided and 40 per cent said that toilets and showers were not cleaned daily; with some saying they were never cleaned. Contractors (including principal contractors) and clients have a legal duty under The Construction (Design and Management) Regulations (CDM Regulations) to ensure the appropriate and adequate welfare facilities are provided at all workplaces. The provision of toilets, drinking water, a supply of cold and hot (or warm) water for washing, changing facilities (with a lock if not male and female) and somewhere warm to eat and rest is a basic as well as a legal requirement. It is important that sites comply with the law in order to avoid a fine. 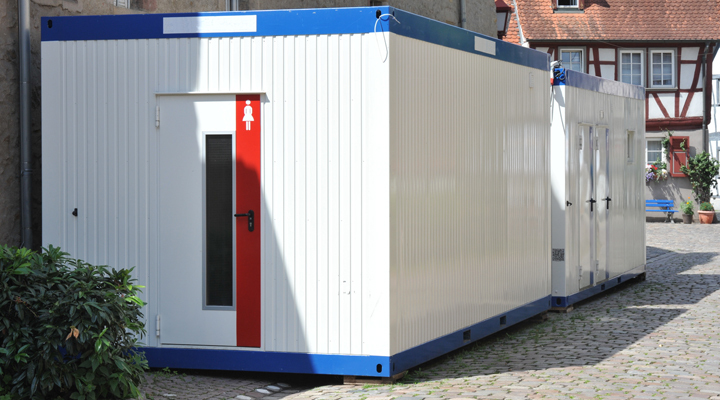 A recent case saw a construction firm fined for not providing adequate welfare facilities for workers on site. Toft Construction pleaded guilty to breaching Regulation 15(11) of the CDM Regulations 2015 and was fined for not providing a toilet or washing facilities.